EchoSpan has over 50 competencies available in their library for use in your reviews. You can create your project using EchoSpan competencies, your own custom content, or a mix of both. From the drop-down menu, select Setup >> Review Items. 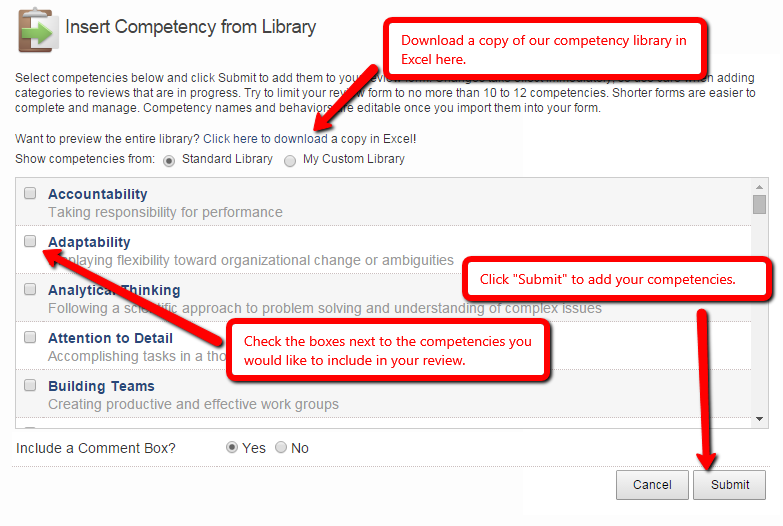 Check the box next to the competencies you want to add and click submit. 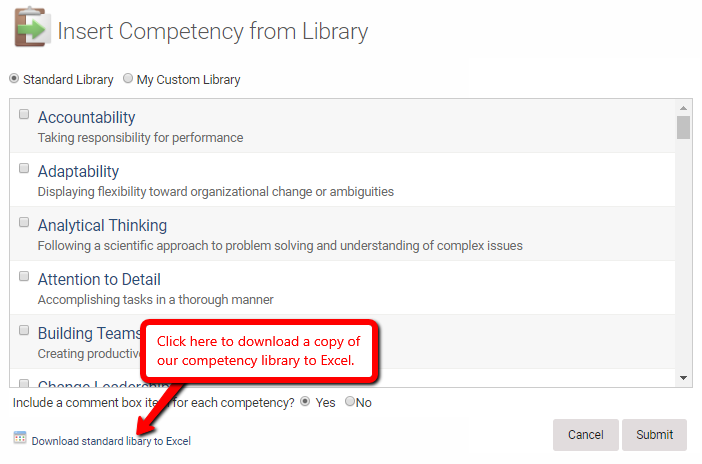 You can click the link at the bottom of the pop up to download a copy of the EchoSpan competency library if it is easier for you to review in excel.